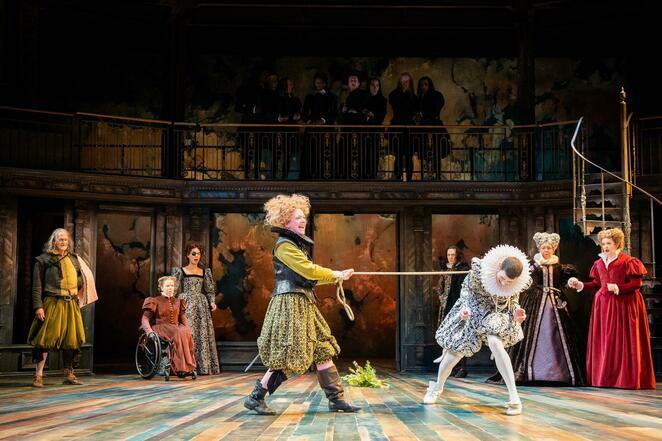 The Taming of the Shrew isn't an easy play to perform in its original form for modern-day audiences with its flagrant misogyny, and those difficult themes feel even more amplified alongside the #MeToo movement. With that in mind, this new production from the Royal Shakespeare Company (RSC) instigated a ripple of excitement when it emerged that it was swapping the genders of all the characters and putting women firmly in charge. Could it transform this dated Shakespeare 'comedy' into a provoking satire of our time with a striking new perspective?, I wondered. Director Justin Audibert is behind this version of The Taming of The Shrew, which runs at The Royal Shakespeare Theatre in Stratford upon Avon until August 31 before it heads off on a national tour until April 2020. The story, which was probably best loosely adapted for a 21st Century audience in film 10 Things I Hate About You, follows two siblings - the gentle, compliant Bianca who is admired by many suitors and the elder Katherine, who is labelled a "shrew" for being headstrong with a temper and cannot find a suitor. As Katherine must marry before Bianca, a plot is set where wild Petruchio is paid to con Katherine into marriage, but then sets to tame Katherine through starvation, domestic abuse and generally making a spouse's life hell until they agree with everything said. Audibert, who was responsible for Snow in Midsummer and The Jew of Malta at the RSC's Swan Theatre a few years ago, has set the play within a matriarchal society, flipping over all the roles and making pain-staking efforts to carefully adapt all the gendered words of the text, even down to every pronoun, so that it all makes sense. In this new world, Petruchio becomes Petrucia; Bianca is Bianco and so on, yet strangely Katherine is still Katherine. This was just the first question that this frustrating production would pose for me. The next was over the setting in Elizabethan times with Renaissance costume. I had imagined that this gender swap would work well in current or future times that could have had a disturbingly realistic edge and perspective into the relationship of power and abuse within a society, even when the sexes are reversed, and whether that makes a difference to our unease and level of outrage at the abuse being handed out. 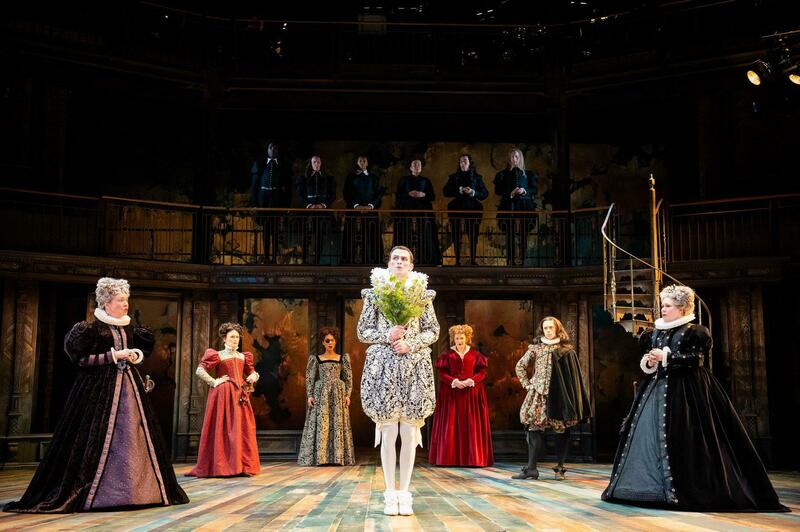 What Audibert has done instead is ask the audience to believe in an alternate reality during the time of Shakespeare's England, where women are not just in charge but also behaving the way men did. While the once-female roles, now played by and as men are acted out in a feminine manner with lots of hair flipping and pouting. For me, this seemed like such a wasted opportunity as it could have tackled so much more about gender roles and the sexes than just making a woman act like a man and vice versa. What is done well are the harrowing scenes where Petruchia 'tames' Katherine. They make you feel so uncomfortable, but that has a lot to do with the excellent Claire Price, playing Petruchia with such a ferocious spirit and intensity that brings out a scarily abusive side to the character. Joseph Arkley is a fairly non-descript Katherine, who seems to lose his wild temper and fiery nature very early on despite being famed for it. I found the romantic element of Katherine and Petruchia's relationship unbelievable and jarring with the rest of what we were seeing too. Much of the comedy is left to the vying suitors for Bianco and this does lift the production. Sophie Stanton clearly steals the limelight as lusty Gremia, who hilariously glides across stage like a dalek in her period costume. 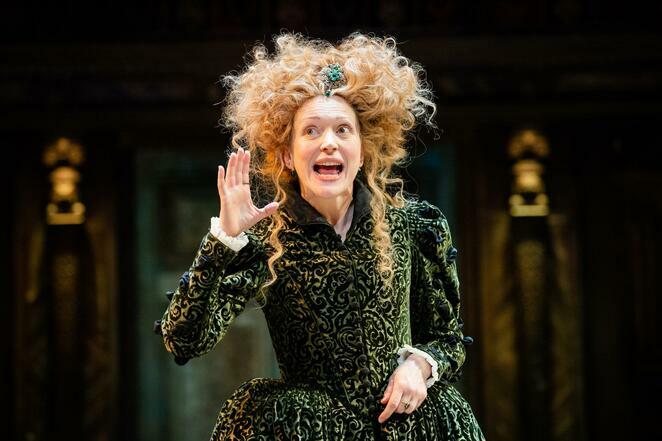 Laura Elsworthy as servant Trania, who is posing as a lady, also shows a fine aptitude for comedy with slapstick traits and a good rapport with the audience. 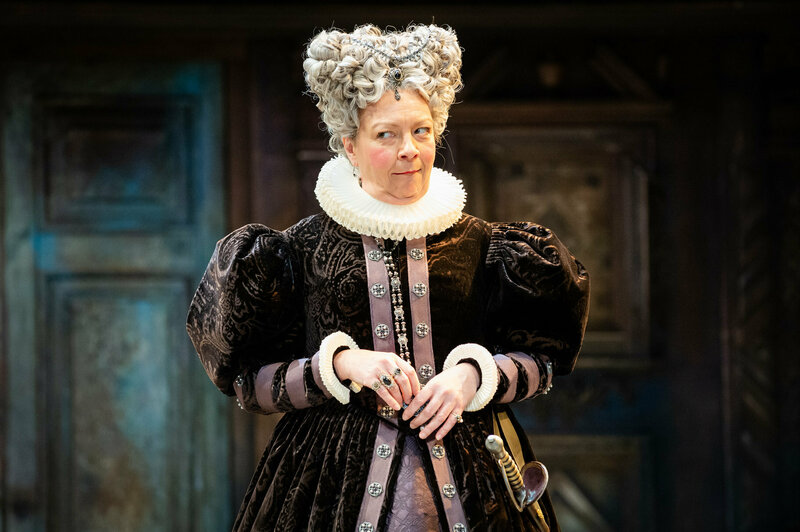 While this new The Taming of the Shrew provides a wealth of roles for female actors, it still hasn't addressed the problem of this play's relevance to today's society. Yes, it is provocative and interesting to a degree, but for me, it leaves too many questions over the avenues taken in this production. Unfortunately, it fell short of the promise it could have achieved.